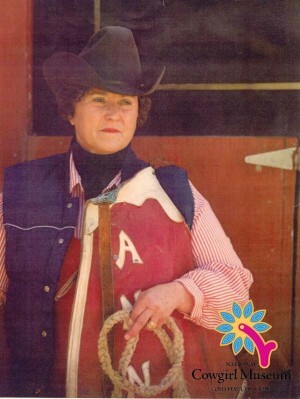 Ann Secrest Hanson has lived a life of quiet dedication, devoted to every facet of ranching and rodeo. After growing up on a ranch in eastern Montana, Ann settled down to ranch with her husband. Raising cattle, sheep, quarter horses, draft horses and bucking horses, their ranch and family grew. She and her husband began to work as professional pickup riders at the famous Miles City Montana Bucking Horse Sale, making her one of the few women to ever work as a pickup rider. In addition, Ann is a Western musician, artist and award-winning cowboy poet.